This was sent to us by a fan while they were trying to find parking at a sports bar in Culver City, CA. 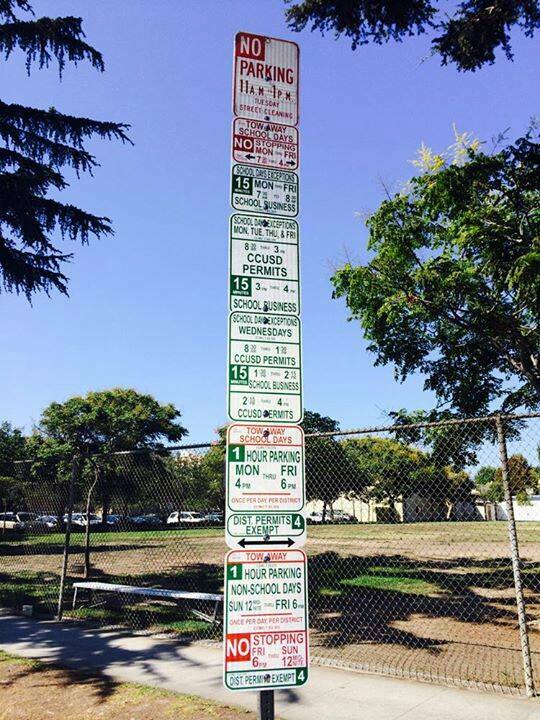 The subtext is clearly saying, “Just don’t park here. It’s not worth it.” Enjoy. West LA/Culver City is very special. We got bit by a similar stack o’ signs in Culver city!